Celebrate the fall season with this delightful and touching picture book, which received four starred reviews! On a trip to the farmers' market with her parents, Sophie chooses a squash, but instead of letting her mom cook it, she names it Bernice. From then on, Sophie brings Bernice everywhere, despite her parents' gentle warnings that Bernice will begin to rot. 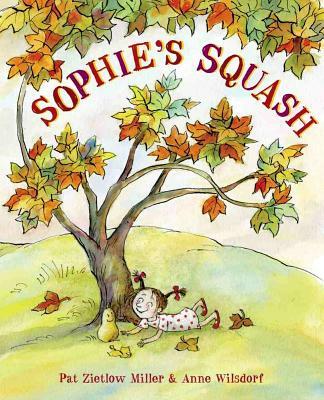 As winter nears, Sophie does start to notice changes.... What's a girl to do when the squash she loves is in trouble? With absolutely delightful text by Pat Zietlow Miller and downright hilarious illustrations from Anne Wilsdorf, Sophie's Squash will be a fresh addition to any collection of autumn books.